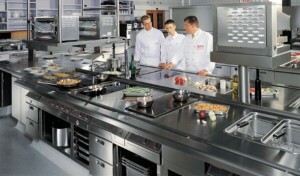 Commercial catering equipment is perhaps the most priority the food industry. Therefore we try to properly understand its importance. In the food industry use commercial catering equipment with high efficiency standards. Besides technical performance equipment used in restaurants they have a coefficient of increased hygiene. Therefore for food manufacturers have used the stainless steel material. This is to avoid oxide in combination with supersaturated atmosphere of water vapor present in kitchens. 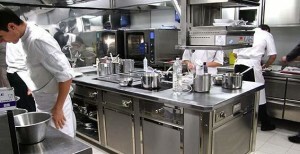 What is commercial catering equipment? By commercial catering equipment means all equipment used in restaurant kitchens, canteens or shops is preparing and selling food produced. Commercial equipment designed to operate permanently without breaks. Obviously it is necessary and scheduled maintenance to ensure their functioning in optimal conditions. After an operation for specialized intervention is required to control operating parameters. Such as calibration termostarelor. Check the temperature in multifunctional ovens. 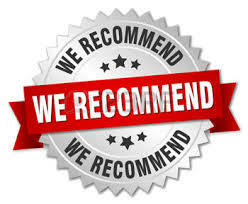 How should we choose commercial catering equipment? A correct advice would be to buy new equipment that has a warranty of operation at least two years. Of course it will be purchased at a high price. For investors who do not have sufficient funds they can opt for used commercial catering equipment. With a shorter lifespan they can temporarily resolve the necessities first. Equipment used generally have three months warranty. No purchase catering equipment without warranty. Never buy equipment from metal collectors. Ask before buying the product verification. Make install authorized product after purchase. If the equipment is second hand source document request.